In-hospital newborn falls can be described as an event when a neonate falls to hospital floor accidentally, either as a result of environmental factors or errors in judgement of the hospital staff or carer (Phalen and Smolenski, 2010; Paul et al. 2011). In-hospital newborn falls occur at a rate of 1.6 to 4.4 per 10,000 live births (Helsley et al. 2010), however this is likely to be an underestimate given that this remains an under-reported entity. The incidence data highlighted is based on studies from the United States but the findings can be reasonably transferred to the United Kingdom (UK) and other developed countries. A local guideline (from two tertiary maternity units in the UK) released in response to in-hospital newborn falls, has revealed an incidence figure of 15 per 10,000 births (Janiszewski and Lee, 2014). Studies have shown that falls are the most common cause of accidental injury in neonates and children in the community (Argan et al. 2003; Matteson et al. 2013), and many parenting website provide education and information supporting fall prevention. It is essential that this education be reflected in the hospital environment. The number of studies looking at in-hospital newborn falls is limited possibly due to the perception that the hospital setting is considered to be safe for babies and accidents are highly unlikely to happen. This article aims to increase awareness of these events and to help prevent and manage these events in the future hospital environment. • The lack of transparent no-blame culture, which discourages reporting of these events. The majority of these falls are preventable and associated serious outcomes can be minimised. This article further highlighted the high-risk groups, clinical presentation, and management of injured neonates after in-hospital falls and provides useful strategies that can minimise such events. • The post-partum period – When exhausted mothers (especially from high risk groups) are at risk of falling asleep cradling their newborn. The most common situation where an in-hospital newborn fall occurs is from the arms of a parent who falls asleep holding their child (Monson et al. 2008). This evidence is supported by the fact that most falls generally occur in the early hours of the morning. The most likely scenario is an exhausted mother falling asleep whilst feeding their newborn baby in the middle of the night. Various studies (Abike et al. 2010; Helsley et al. 2010; Monson et al. 2008) have identified maternal risk factors, and these include the information presented in table 1. In order to minimise in-hospital newborn falls, it is necessary that midwifery and nursing staff remain aware of the high-risk mothers and implement strategies for regular monitoring to prevent falls from occurring. At present there are no clear guidelines available regarding the management of in-hospital newborn falls and the literature displays significant variability in how to manage these events. However is it essential that every health professional involved in neonatal care is aware of how to manage the situation if it were to arise. Despite the lack of national guidance, there is a general consensus that in the event of a fall, the newborn requires close observation, frequent reviews and sometimes radiological investigation (eg. CT scan of the brain or skull radiograph) (Ruddick et al. 2010; Paul et al. 2011). Midwives can aid in the management of in-hospital falls by alerting paediatricians immediately after the event, and ensuring that the midwife-in-charge is made aware of the accident immediately. The neonate should be fully examined for injuries and the head circumference should be measured at regular intervals. This will allow monitoring for any swelling that may develop. It is essential to reassess the baby every two to four hours to observe for any drowsiness or deterioration in clinical condition. If this does occur then there is the need for escalation, with radiological imaging of the head and admission to a neonatal unit. It is important to reassure parents and update them regularly about their baby’s health. It is important to note that physical examination may not reveal skull fractures or significant intracranial haemorrhages. A study from Newcastle, UK, involving 11 babies who suffered in-hospital falls, found that although almost all (10) of the 11 babies showed no clinical symptoms of an underlying brain injury, five of these neonates had a radiological diagnosis of a skull fracture (Ruddick et al. 2010). The authors therefore concluded that both the height of the fall or a normal physical examination could not be used as a clear indicator for a potential skull fracture; and radiological investigations should be conducted in cases where there is suspicion of an intracranial injury. The algorithm in figure 1 aims to highlight good practice, and has been drawn from our experience of managing such babies following the accident and the available literature. (Ruddick et al. 2010; Paul et al. 2011; Janiszewski and Lee 2014). The majority of neonates who fall whilst in hospital do not suffer serious morbidities in most cases. The range of injuries that can occur from in-hospital falls include no obvious injury; minor bruises and abrasions; skull fractures and severe head injuries requiring neurosurgical intervention (Galuska, 2011). Isolated cases of deaths have been reported following in-hospital newborn falls (Warrington et al. 2001; Helsley et al. 2010) and a delay in reporting of the accident has been noted in these situations. The impact of the fall on a neonate depends on several factors including height of fall, nature of the contact surface and the body mass of the infant (Monson et al. 2008). It is important that health professionals take every case seriously and remain vigilant to escalate clinical care if deterioration in clinical condition occurs. Prevention of in-hospital newborn falls should be a priority for every health professional caring for this vulnerable population. Such accidents reflect a lack of awareness and it is necessary to improve knowledge about these events to reduce the incidence of in-hospital falls. There is a belief that in-hospital falls do not occur, and this view needs to be addressed to improve the recognition of these events. The majority of in-hospital falls that occur tend to follow a common pattern and early anticipation and active safety measures can minimise these events (Matteson et al. 2013). • Providing information regarding fall prevention, along with co-sleeping and feeding advice. • Dissipation of knowledge about in-hospital falls amongst all health professionals caring for babies in post-natal wards. Midwives can play a key role in educating parents about these accidents, which can be initiated during antenatal classes (Paeglis, 2005). There is the need for a uniform policy, both locally and nationally, in order to minimise these accidents and appropriately manage them if they happen. Although the majority of newborn falls are accidental, it is the duty of every health professional to remain alert to cases where there are any safeguarding concerns. Parents should also be given safety advice to follow at home to minimise these falls in the community, as they are the most common cause of accidental injury outside of the hospital setting. In-hospital newborn falls are an under-recognised and under-reported entity, and hence considered to be rare. These events are, however, preventable and it is therefore essential that they be avoided. Following in-hospital newborn falls, these neonates are generally best managed through regular examination, monitoring and reassurance, with early paediatric input. A no-blame culture is essential to ensure parents report these accidents and facilitate appropriate management. Promotion of newborn safety is pivotal to all institutions who care for this population and we hope this article will assist development in practice and improve the outcome of these accidents. Further study in this area is warranted in order to address this issue more widely. Abike F, et al. 2010. A new scale for evaluating the risk for in-hospital falls of newborn infants: a failure modes and effects analysis study. International Journal of Paediatrics. 2010, pp.1-9. Agran PF, et al. 2003. Rates of pediatric injuries by 3-month intervals for children ages 0 to 3 years of age. Pediatrics. 111(6), pp.e683-692. Galuska L. 2011. Prevention of in-hospital newborn falls. Nursing for Women’s Health. 15(1), pp.59-61. Helsley L, et all. 2010. Adverse Events: Addressing in-hospital “falls” of newborn infants. The Joint Commission Journal on Quality and Patient Safety. 236(7), pp.327-333. Janiszewski H and Lee L. 2014. Guideline for the prevention and management of baby falls whilst being cared for in Nottingham University Hospitals NHS Trust. Available from www.nuh.nhs.uk/handlers/downloads.ashx?id=54771 (accessed 01/02/15). Matteson T, et al. 2013. Preventing in-hospital newborn falls: a literature review. The American Journal of Maternal and Child Nursing. 38(6), pp.356-366. Monson SA, et al. 2008. In-hospital falls of newborn infants: data from a multihospital healthcare system. Pediatrics. 122(2), pp.277-280. Paul SP, et al. 2011. Newborn falls in-hospital: time to address the issue. The Practising Midwife. 14(4), pp.29-32. Paeglis C, 2005. A report of the findings of the Royal College of Midwives (RCM) United Kingdom (UK) National Bed Sharing Audit. London: RCM. Pp.23-29. Phalen AG and Smolenski J. 2010. Newborn Falls: Seeking Solutions for a Never Event. Journal of Obstetric, Gynaecological & Neonatal Nursing. 39,pp.S46. Ruddick C, et al. 2010. 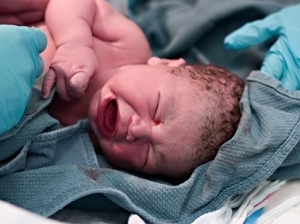 Head trauma outcomes of verifiable falls in newborn babies. Archives of Disease in Childhood: Fetal and Neonatal Edition. 95, pp.f144-145. Slogar A, et al. 2013. Tracking “near misses” to keep newborns safe from falls. Nursing for Women’s Health. 17(3), pp.219-223. Warrington SA, et al. 2001. Accidents and resulting injuries in premobile infants: data from the ALSPAC study. Archive of Diseases in Childhood. 85, pp.104-107.